Infrastructure Funding has come to play a major role in the field of road infrastructure. 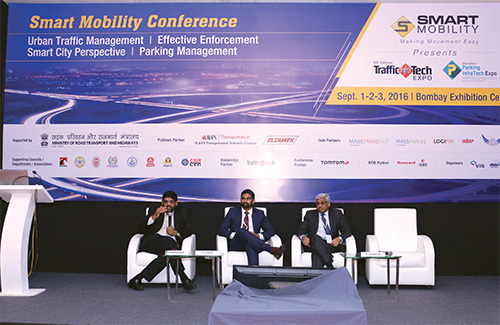 This was the subject of discussion at one of the seminars at TrafficInfraTech Expo. Investment dos and don’ts, risks, returns and perspectives from the investors’ and developers’ points of view were some of the aspects discussed. 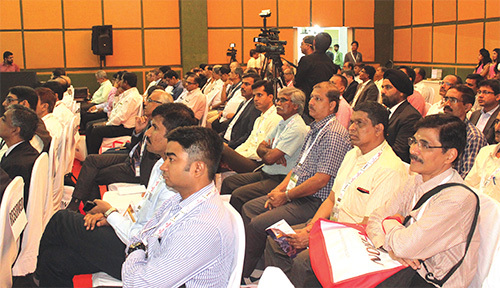 Many contemporary and important subjects were taken up in the seminars held on all the three days of TrafficInfraTech Expo. One among them was the discussion on ‘Infrastructure Funding: Investment Trust and Need for long term funding’. Moderated by K Mahesh, Head of M&A and Corporate Advisory Services, IL&FS Financial Services Ltd, it had Narayanan G, Partner – Infrastructure, IDFC Alternatives Ltd and Vinay Sekar, Principal – M&A and Head – Project Financing, Cube Highways and Transportation Assets Advisors (P) Ltd as participants. K Mahesh opened the session citing the rising interest in Infrastructure Funding and it gaining ground in road infrastructure sector as a mode of investment. “SEBI recently brought out a guideline for listing the infrastructure investment funds,” he said. “These guidelines have been notified and the required changes in the taxation structure have been made over the last two budgets. Many companies have announced their intention to look at infrastructure investment trust in the road sector”. Narayanan was asked to give an overview of the concept of infrastructure investment trust and its relevance in the road sector. “The concept is very similar to the concept prevalent outside India and is borrowed from the long term real-estate assets that are traded across the globe,” said Narayanan. “It is very easy to predict what kind of revenues an asset can yield. For example, in the real-estate, we know what our rental yield would be and we know the expenses like the operating expenses and the probable profits post the expenses. Then, it is very easy to predict. In case of roads, the revenue does fluctuate — in the annuity model, it remains stable while in the toll projects the revenue is believed to grow in the range which is a combination of both – the inflation and the growth in traffic. The revenue growth is expected to be 8-10% every year. So, the belief is that predicting the revenue profile and profitability on the roads is very easy”. Narayanan cited the example of GMR which has constructed roads. “Suppose they want to sell this to somebody who is expecting lower returns than what GMR potentially expects. So, saving account bank holders like us get only a 6 to 8% returns through our fixed or saving accounts. Instead of that, we can start buying the units of the road, as we cannot buy the entire road as an individual. This concept is very similar to that of mutual funds where one is not buying the shares of the company but buying the mutual funds is akin to buying a small share of the company. Here, the infrastructure companies are trying to introduce similar concepts in infrastructure funds/ assets which are listed and traded, and with typical return expectations. By coming up with investment trust, the government is trying to ensure that long term capital is available for the infrastructure sector. Today, banks are providing most of the infrastructure capital to build roads. Promoters put some part of equity but the government is looking at an alternate source of revenue which can replace it”. So, similar to mutual funds where people invest in shares, or foreigners invest directly, this concept is created to encourage participation by retail investors or high-net worth investors, and investors with long-term capital like pension funds – in the road sector. It is still a plan, not a reality in India. Government is having a series of discussions on: How it should be rolled out? What should be the time-frame? What should be the tact treatment for the unit holders? How does it benefit the company? Players like IRB, one of the largest toll annuity operators in the country, are attempting this. ITNL (Transport division of IL & FS) is also working on similar lines”.